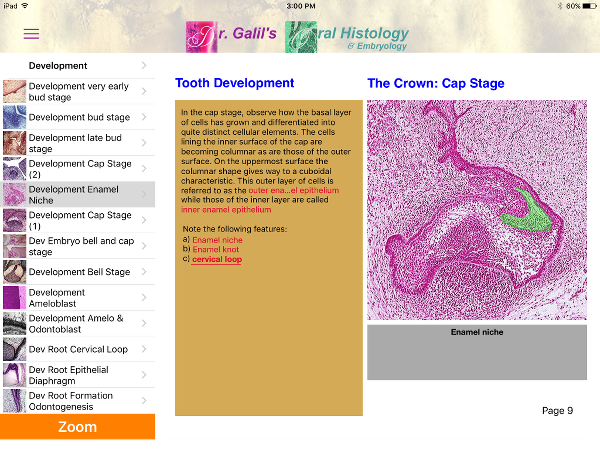 This is the only app that addresses oral histology and it's the first app to help students all over the world in studying oral histology. 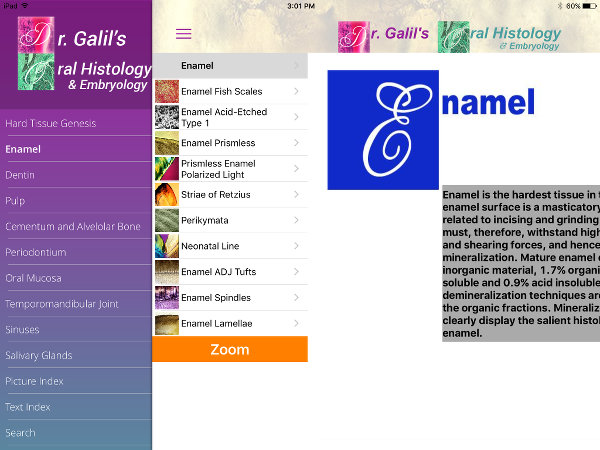 It is used by students in many American and Canadian universities. 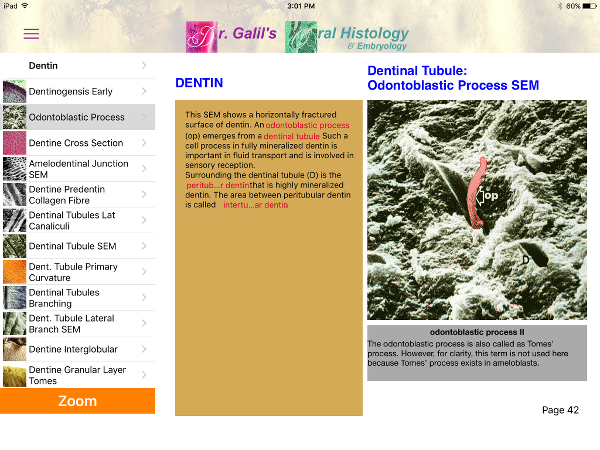 This remarkable app was designed to benefit dental students, dental assistants, dental hygienists, denturists and dentists. 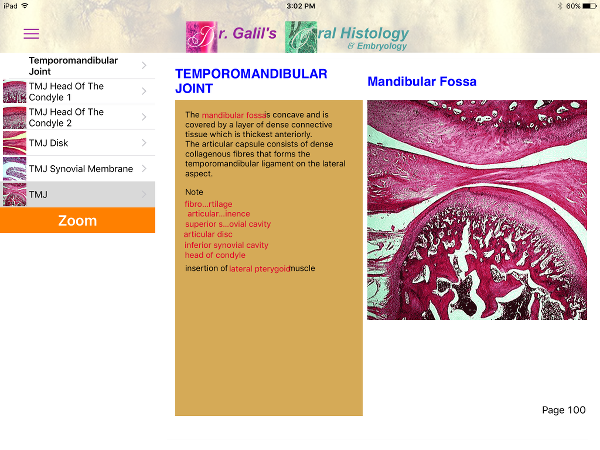 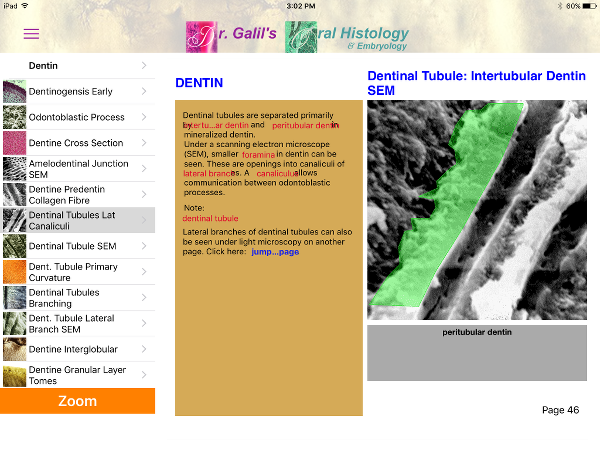 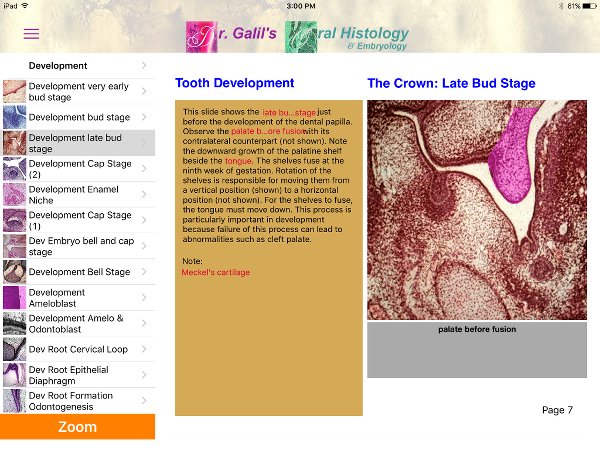 The app displays histological slides of the oral cavity, includes hot links to any histological term, zooms in on any slide, and shows details of dental tissue histology. 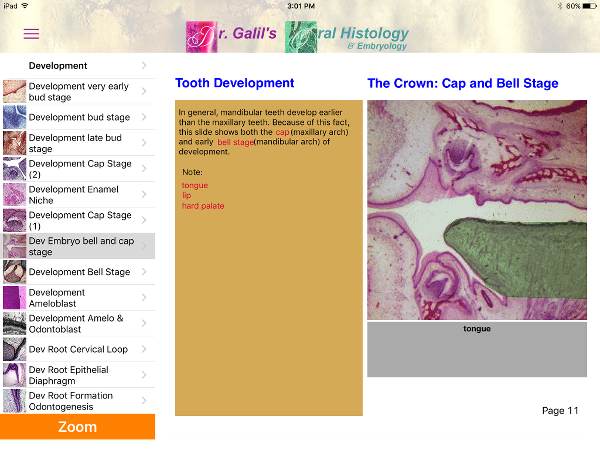 It includes well-organized topics, separate topics, an index of images and an index of key words allowing the user to easily locate any image or any word in the extensive database.